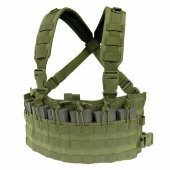 Tactical Vests There are 65 products. 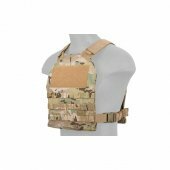 Badlands carries a wide variety of Condor Tactical Vests to suit every player. 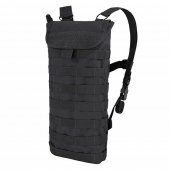 Condor Tactical Vests are available in multiple styles and are used by real operators. 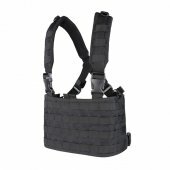 Condor Tactical Vests are available as pre-built vests, such as the Condor Crossdraw Vest and Condor Elite Tactical Vest, or as a base vest loaded with MOLLE. 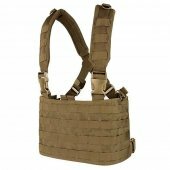 Combine your Condor Tactical Vest with any MOLLE attachments from our Tactical Vest Attachments section and truly make your vest unique for your style of play. Gen-X Tactical Vests are perfect for new players due to an extraordinary amount of adaptability and protection. Gen-X Tactical Vests come included with everything you need stitched onto the vest right out of the box. 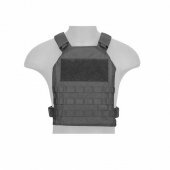 If you are looking for a quality vest with everything you need for an affordable price then look no further the Gen-X Tactical Vests! 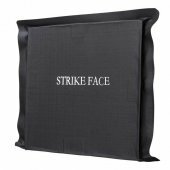 VISM Ballistic Soft Panel 6 x 6 Important: This item cannot be sold to the following provinces: BC, AB, MB, NS. Any orders for this item to these provinces will be cancelled immediately. A vest is a good choice for carrying your gear since it helps distribute the load over your shoulders, and some, like the Petrol Tactical vest, include a comfort belt as well, making it even more comfortable when fully loaded. Dye paintball vests are designed to withstand the tortures of mil-sim paintball. Get the Dye Tactical harness if you want a lightweight paintball vest design while still having the ability to carry an arsenal of paintballs, paintball magazines, and other essential equipment. Choose between the patented Dyecam camo to blend in or black to boost your tactical skills. 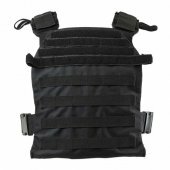 Stay fully equipped with a Tippmann paintball vest. 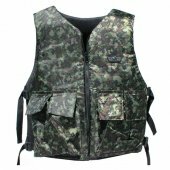 When looking for a paintball vest you will need to be sure that the paintball vest you get will be able to endure the demands of the paintball field. 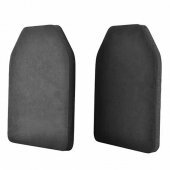 A Tippmann paintball vest will deliver the function and durability you need. 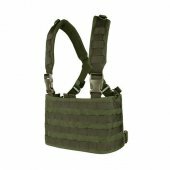 Tippmann offers variants for those who prefer to carry their team's extra paintballs or for those forward operators who need a compact lightweight paintball vest. You can never go wrong when choosing Tippmann when kitting out your tactical setup. 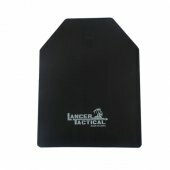 The Planet Eclipse Tactical Load paintball vest is a robust paintball vest system that optimizes paintball pod capacity and function. Front loading paintball pod holsters allow for continuous play and fast reloads. Fully loaded with shoulder padding, utility pouches, a paintball tank pouch and space for your personalized paintball patches. Choose Planet Eclipse to give you the Eclipse edge on the paintball field.